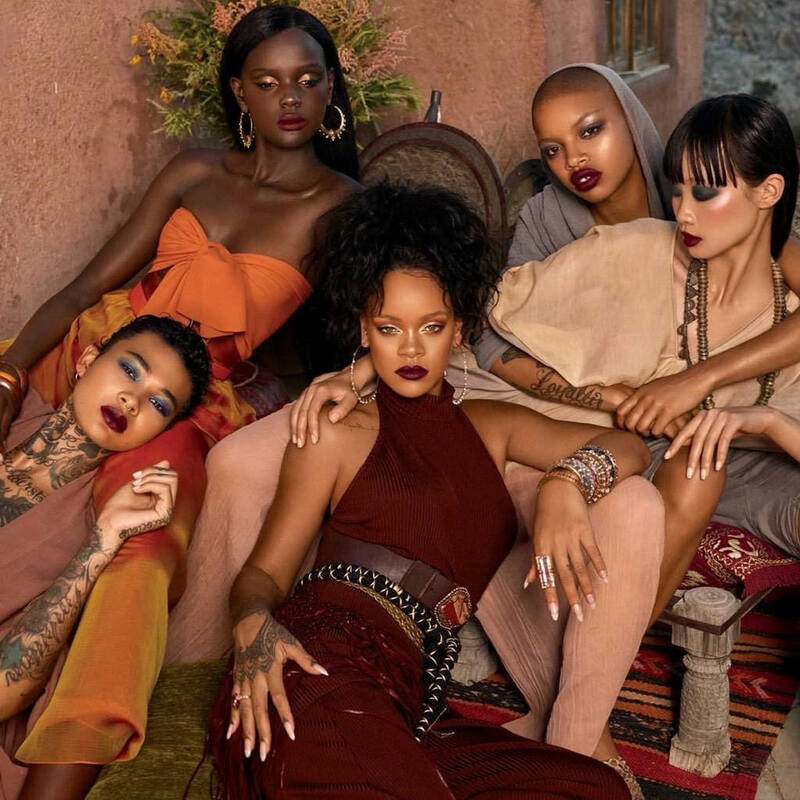 Fenty Beauty’s “Moroccan Spice” collection is available now. New photos emerged from the promotional photoshoot that shows Rihanna surrounded by a diverse group of models. Here’s what she wore. Styled by Mel Ottenberg, Rihanna sported a look from Beaufille‘s Fall/Winter 2017 collection. I spoke directly to Beaufille who shared that Rihanna’s halter turtleneck top was not included in their lookbook. She did wear the Subra ribbed knit pant featured in Look 21. Unfortunately, these pieces are no longer available to purchase. But you can check out their current collection at Bergdorf Goodman, Net-a-Porter, Moda Operandi and a few other places. Rihanna’s belts are from Pat Areias and all of her jewelry is XIV Karats.